These appear to work like the 3D-printed ones that I’m using – slip over the top of a full size magazine and just slide them down. There’s no locking mechanism at the top of the heel of the sleeve, which I had theorized might be a way of keeping it permanently connected to the grip. Unlike in the official shots, this sleeve doesn’t seem to be pinned to the bottom of the magazine. It looks to me like these sleeves are what would have been the bottom of the Impact’s grip if it were full-size. As you’ll recall from my review of the BUL Impact, I loved the pistol, but bemoaned the lack of a way to get a nice flush fit with the full length BUL M5 9mm magazines. There was a product image showing a sleeve adapter, but I had never seen one in the wild. Well, if you can’t buy it… you build it. Or in my case, you 3D print it. One mystery that consistently driven me a bit crazy is the subject of whether BUL M-5 Ultra magazines are compatible with the BUL Impact, and vica versa. I finally have an answer. As you can see in the above picture, the difference between the two magazines is the follower. 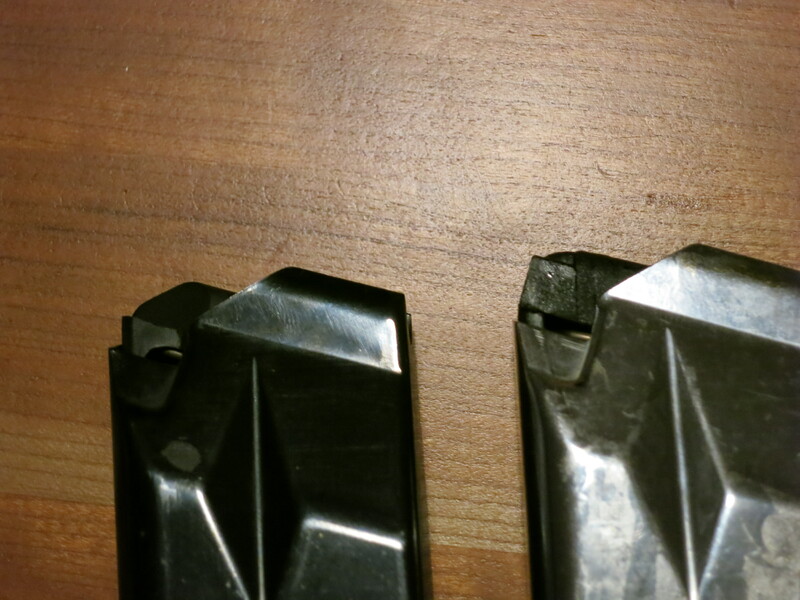 The Impact magazines (seen on the right) have a slightly different follower with a higher left hand side to push up the Impact’s slide stop. The M-5 magazines (on the left) have a “normal” profile follower without the raised edge. You can use either magazine type in either gun, but the M-5 magazines won’t actuate the slide stop on the Impact, and the Impact magazines will require more force to release the M-5’s slide on an empty magazine. Given that proper Ultra-X magazines appear to be going for astronomical ($100+) prices these days, being able to use DDA mags should be very financially helpful to owners of the Charles Daly M-5 Ultra-X and the Kimber Ten II Ultra. 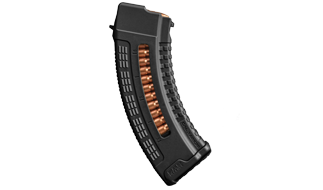 One of the big advantages of the upcoming Galil ACE line from IWI is the ability to take standard magazines. While I have no particular problem with Galil mags, they’re pretty much proprietary to the Galil (well, and the SiGalil). Being able to use AK, AR-15, and SR-25 (“DPMS-style”) magazines is a big step forward for the Galil platform. 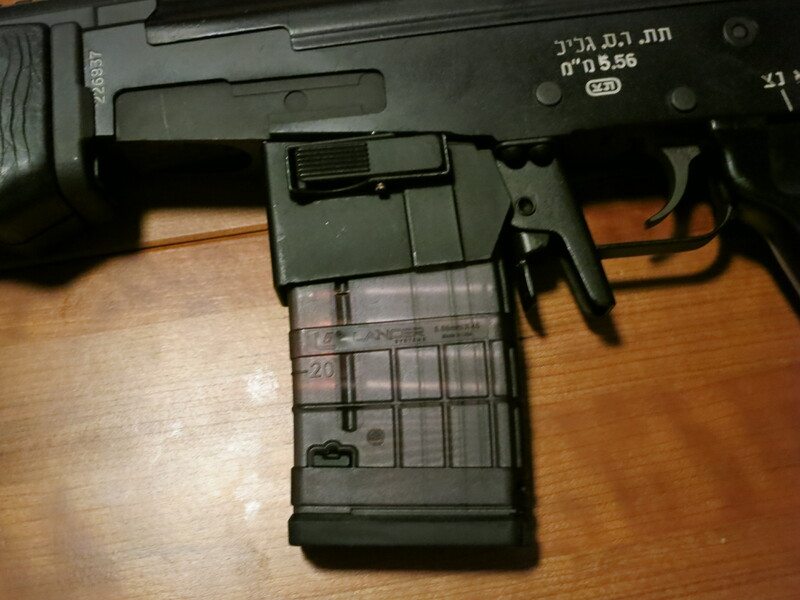 One lesser-known feature of the Galil, though, is that with some work and an adapter, you can get it running AR-15 magazines.